It’s been all about the boxes these days – the boxes I packed my kitchen into when I learned hours before Christmas vacation that my apartment was being renovated, the boxes I’ve been wrapping for gifts, and the ceder box or caja china I sat by for hours this afternoon with a 70lb pig roasting inside for Nochebuena. Let the de-boxing begin and have a Merry Christmas! eeegad…as in a LIVE pig? Sorry to be so cryptic. Cubans have a pig roast on Christmas Eve. 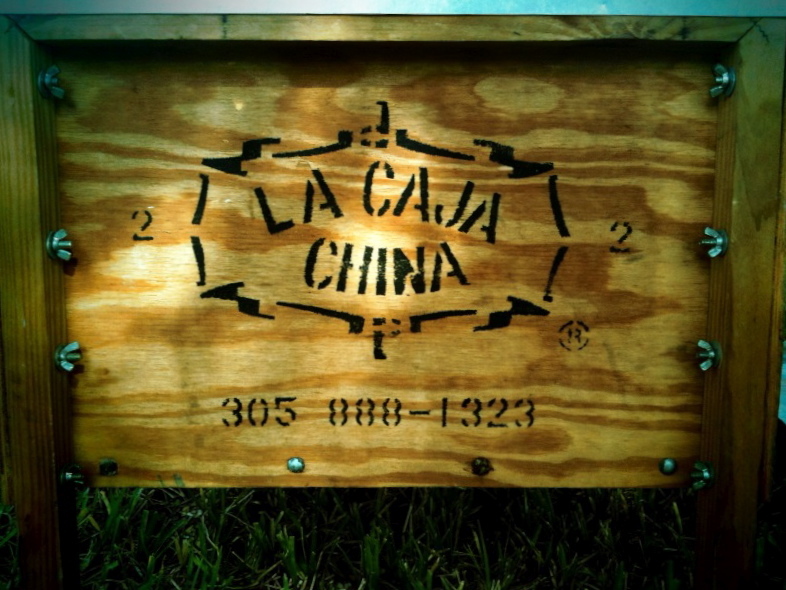 It used to be roasted in a hole in the ground but for years now the caja china has become more typical. It’s a metal lined cedar box where the pig that’s been marinated in a sour orange juice and garlic mixture overnight is put in for about 4 hours. The coals are placed over the top.